Discover hidden gems of Maharashtra on this 3 day adventure! Are you a history buff? Does the thought of exploring temples and century old monuments excite you? This 3 day tour to explore some of South India’s best kept secrets will astound you. You’ll not only visit UNESCO World Heritage sites, but also sprawling vineyards of Maharashtra. To kick off your explorations around Maharashtra, we’ll take you to Nashik–the wine capital of India. 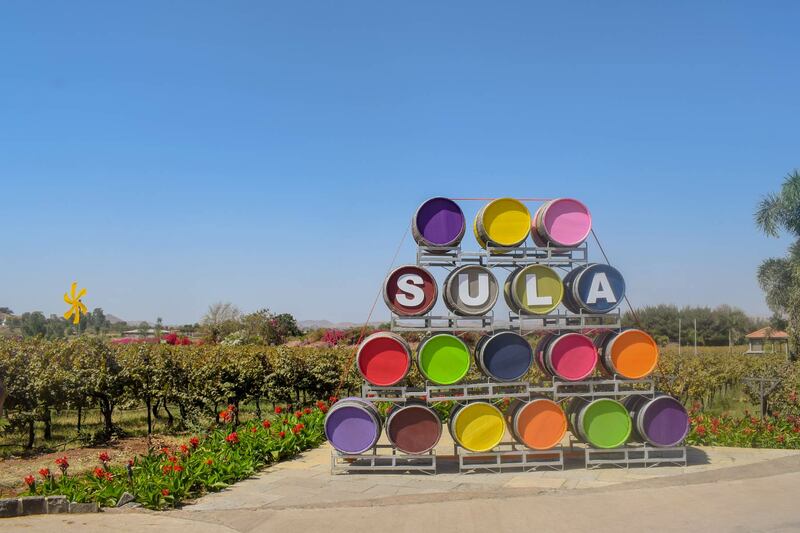 At the heart of Nashik is Sula Vineyards: an excursion from Mumbai that wine lovers won’t want to miss. Tucked a few hours away from the bustle of Mumbai, Sula Vineyards boasts 160 acres of land. India’s most well-known and loved wine is found here. Tour through the lush vineyards, comprehensive processing units and learn the art of wine-making. After this, we’ll take hop on a train to Aurangabad and spend the night. First thing in the morning we shall depart for the Ajanta Caves, a 3 hour journey from Aurangabad. Take in the Ajanta Cave complex, encircling a gorge along the Waghora River. 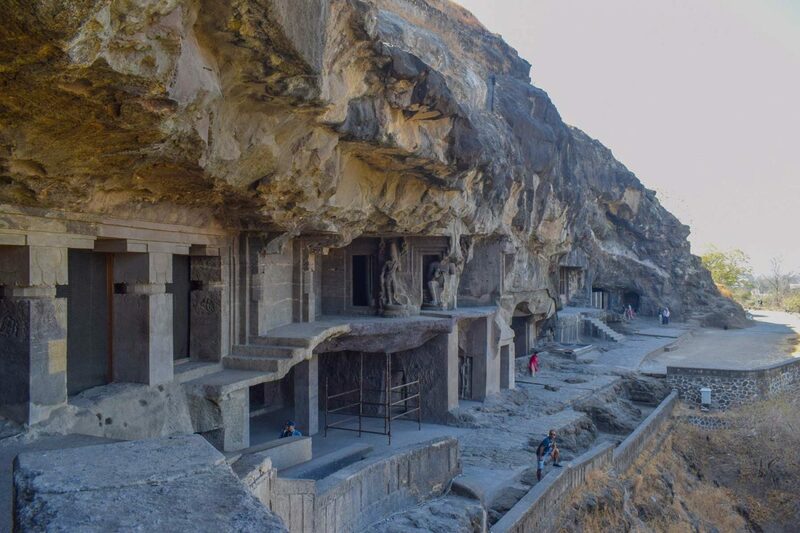 This spectacular complex houses 29 caves full of ancient Buddhist murals, paintings and sculptures. Imagine strolling through incredible ancient rock-cut temples, chiselled by hand thousands of years ago. the historical grandeur of your surroundings. The next day, we’ll get an early start to explore the Ellora caves. This is one the world’s largest rock-cut temple complex boasting artwork, monuments and inscriptions from Buddhism, Hinduism and Jainism. The proximity of these monuments are indicative of how religions existed in harmony over the course of India’s history. After exploring Ellora Caves, we’ll venture to Aurangabad’s must-see sites including Devgiri Fort and Bibi Ka Maqbara. Hike up to the top of Devgiri Fort, a fortress built in the 14th century, and be rewarded with a stunning view of the city. We end our day of exploration at BiBi Ka Maqbara, also known as the Baby Taj Mahal, with some fabulous photo opportunities. The Mahastra Trail is a must for all those passing through Mumbai, on their way in or out of the city. 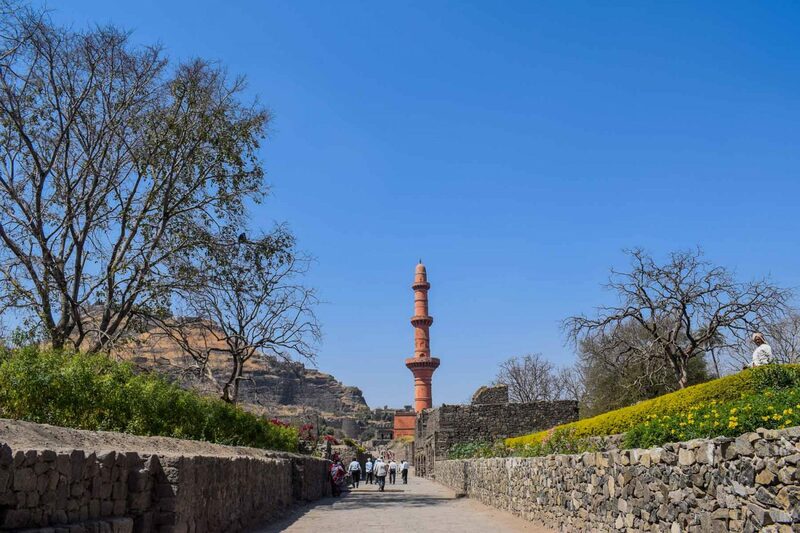 Learn about some of India’s greatest historical monuments around Aurangabad and wind down in the vineyards of Nashik. In the morning you’ll travel by train to the heartland of Indian wine, Nashik. After checking into your hotel, you’ll be taken to the Sula Vineyards to taste and learn about winemaking. In the afternoon there will be an orientation walk with your guide who will further give you an overview of the region. After sampling some fine wine and South Indian delights, we’ll hop on a train to Aurangabad. Meet your guide for an early start and drive over to the UNESCO World Heritage Site of Ajanta Caves. Your guide will go over the itinerary for the next few days. Upon arrival, we will spend the day exploring the caves and ancient Buddhist art. You’ll have the evening free to explore on your own. 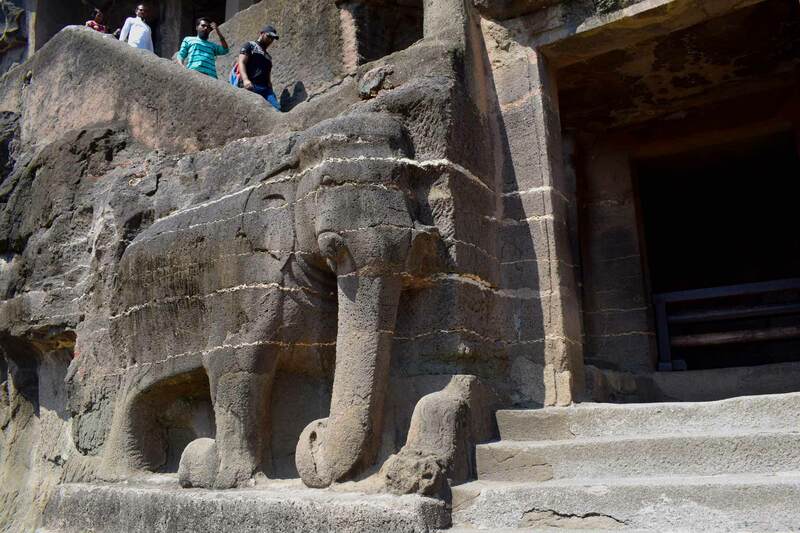 The next day, we’ll begin early again and take you on a fun rickshaw ride to the famous Ellora Cave complex. Here you will get a final dose of some of India’s most magnificent religious monuments and works of art. Start off your trip sampling fine wines in the heart of India’s wine capital. Tour through the lush vineyards, comprehensive processing units and learn the art of wine-making. Enjoy a tasting of 4 different wines: take in the aroma, colour, and flavour of various grape wines. This will be the ultimate way to unwind and relax. 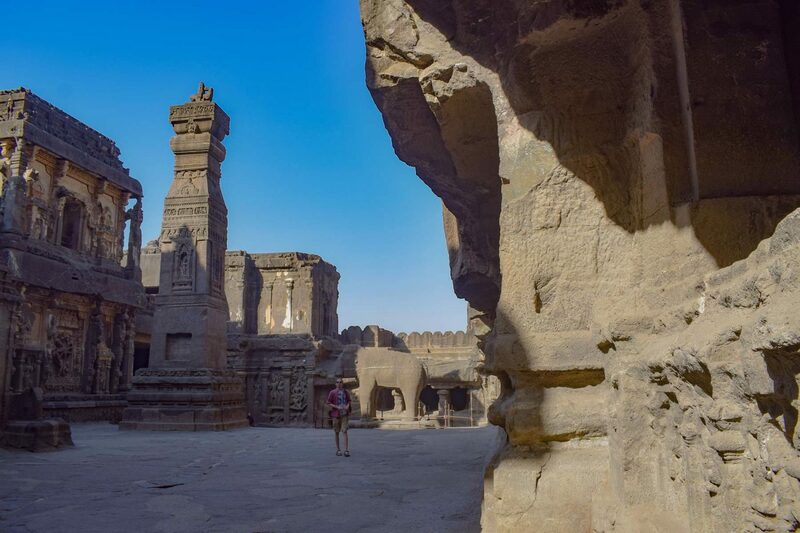 Our first stop in Aurangabad is this spectacular complex, housing 29 caves full of ancient Buddhist murals, paintings and sculptures. One of India’s most magnificent religious sites is also a UNESCO World Heritage Site. This is one the world’s largest rock-cut temple complex boasting artwork, monuments and inscriptions from Buddhism, Hinduism and Jainism. The proximity of these monuments are indicative of how religions existed in harmony over the course of India’s history. Hike up to the top of Devgiri Fort, a fortress built in the 14th century, and be rewarded with a stunning view of the city. BiBi Ka Maqbara, also known as the Baby Taj Mahal, is our last highlight in Aurangabad. Get ready for some fabulous photo opportunities coupled by stories of its creation. Yes! Simply send us an enquiry and we’ll see what we can do. Yes, this can be made a private tour. Please get in touch for more details. Our maximum group size is 12. We stay in well-appointed hostels and mid range hotels, locally owned where possible. All hotels have hot water and most have Wi-Fi. Single passengers will share a twin room with another group member of the same gender if required. You are welcome to pay extra to ensure you have a room to yourself throughout the trip – please get in touch for costs. No entry fees are included. Yes absolutely! We can look at providing dates that completely suit you. If you are interested in a shared tour we can often also still offer your preferred dates, guarantee the tour and invite other passengers to join. All our tours ensure easy international and domestic flight connections before and after the tour. We can help arrange for flights if necessary at an extra cost. Please let us know if you would like this.